In the 2009 Norton Lectures at Harvard, collected in this volume, Orhan Pamuk articulates what he calls “the most important things I know and have learned about the novel,” exploring issues of form and technique but also the ethical and political functions of literature. He frames his theories through the notion of “a center,” “a profound opinion or insight about life, a deeply embedded point of mystery, whether real or imagined,” acting as a core to both the process of constructing and the practice of reading novels. “Novelists write in order to investigate this locus, to discover its implications, and we are aware that novels are read in the same spirit,” he says. Such universalizing claims are, Pamuk says, rooted in a kind of humanism, a “Montaigne-like optimism,” the “belief that if I frankly discuss my own experience of writing novels, and what I do when I write and read novels, then I will be discussing all novelists and the art of the novel in general.” While explicitly autobiographical—he stitches, for instance, his developing notions of the novel to specific experiments performed in the crafting of each of his books—The Naive and the Sentimental Novelist is also invested in exploring the divide between novelistic practice in “the West” and novelistic practice in what Pamuk terms “closed or semi-closed societies.” He argues that the ethical and political values of the novel are more immediate and more revolutionary in these “closed” settings as opposed to in the “naïve” West, where novels have become just another commodity, another entertainment in both production and consumption. 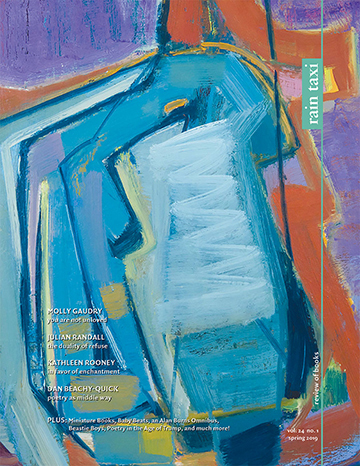 Representation, as an issue, is more than a concern with physical objects and the roles they can play in literary narratives (though Pamuk explores this at length in order to plumb his deeper interests); rather, that novels represent human lives in detail, thus prompting an experience of empathy for others and an examination of one’s own self, is, for Pamuk, an “ethical point” of great importance. The reading (and writing) of novels “relates to freedom, to imitating other lives and imagining oneself as another person,” and, as such, is inherently political. the extent to which politics can be included in novels is boundless, because the novelist becomes political in the very effort to understand those who are different from him, those who belong to other communities, races, cultures, classes, and nations. The most political novel is the novel that has no political themes or motives but that tries to see everything and understand everyone, to construct the largest whole. Thus, the novel that manages to accomplish this impossible task has the deepest center. As autobiographical document, The Naive and the Sentimental Novelist charts “the emotional and intellectual heart of my work as a novelist,” chronicling the development of Pamuk’s skills, theories, and even his humanity. 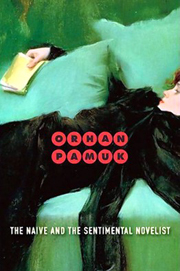 This text, then, also stands in defense of Pamuk’s oeuvre, shedding light on specific practices (the use of physical objects in the writing and text of a novel, for instance) while also advancing a broader claim about the “new forms and novelistic techniques” he and other writers “outside Western cultural centers” have been innovating. There is, indeed, a mysterious center to this text, as well—one constructed, like Pamuk’s novels, around something unspoken, a tantalizing lacuna. Many Americans, unless they are already followers of Pamuk’s work, may dismiss this slim volume as so much oddly unfashionable criticism—so much reading of one scene from Tolstoy, so much of what seems like dancing around the political issues at play—but one is also left with the sense that Pamuk’s theories may well be discussed and debated “outside Western cultural centers” for years to come, and that his vision and his style, while resolutely not that of the contemporary American moment, are—for precisely that reason—of urgent interest elsewhere.